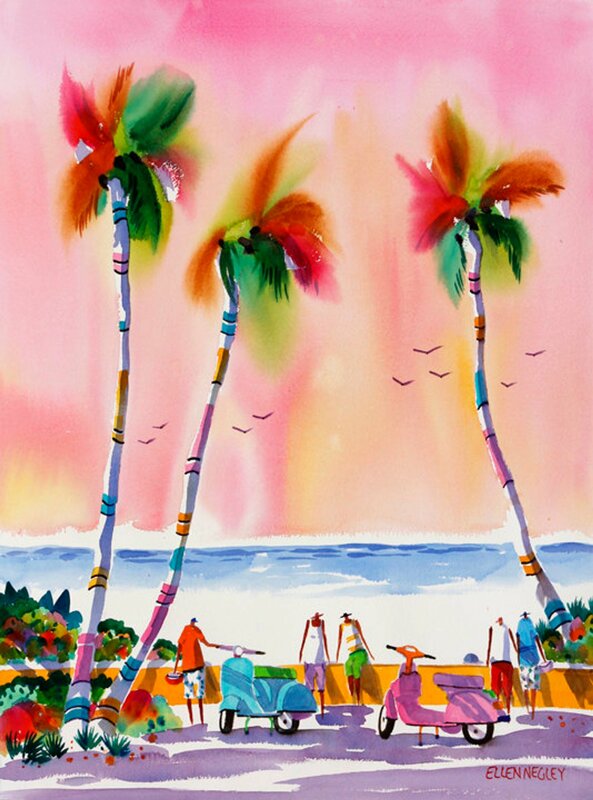 "Seaside Scooters" is a painting I did of a group of people out for a Sunday Vespa ride on Palm Beach, Florida. My focus was capturing the amazing tropical colors of our Florida skies. I love laying the cool green colors of palm trees on top of the warm colors of the sky.